94005011 There is 1 product. Amaircare 93-A-16ST00-MO 16-inch Standard Annual Filter Kit is Amaircare original replacement filter. 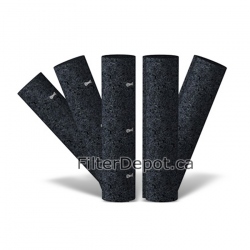 Amaircare 93-A-16ST00-MO filter kit fits Amaircare air purifiers with 16-inch molded HEPA filter.